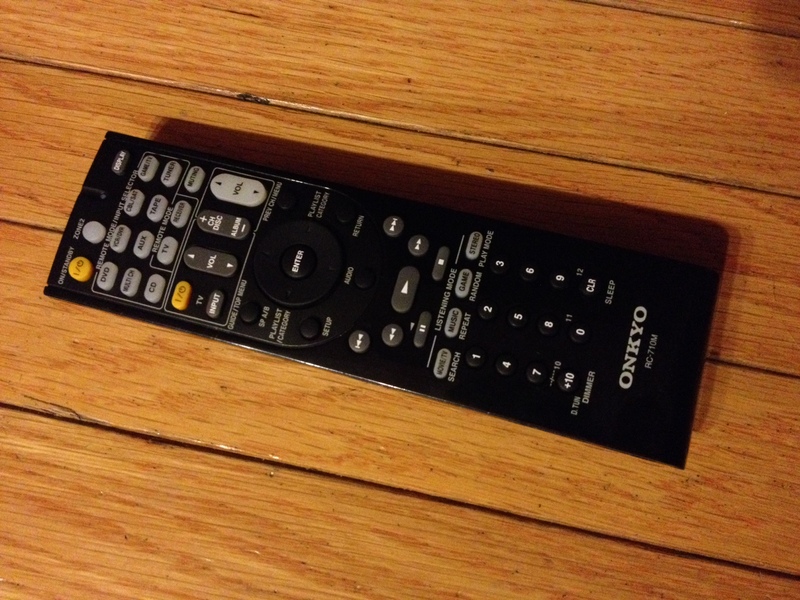 I’ve got an ONKYO 7.1 surround sound home theater system, and in the past 6 months the volume buttons stopped working, well not stopped… they would periodically work if you mashed/held the buttons (up or down) but generally they stopped being responsive. After searching online, I almost bought a new remote on ebay just to make the problem go away, there just didn’t seem to be reliable information on the remote itself, let alone how to fix the issue. Luckily, I searched a bit longer, and found an obscure reference to someone taking the remote apart and cleaning the connectors under the volume buttons. Use a guitar pick or plastic thin device to open the remote (it has plastic clips that hold it together that will ‘pop’ free, just apply the right amount of pressure and work your way around. Isopropyl alcohol with a q-tip worked well, and dried the area with a paper towel after. So if you have a problem with your volume on the ONKYO RC-710m Remote, don’t panic, just clean it!